The data provided by the Swiss bank suggests that India has more black money than rest of the world combined. India is leading the list with almost $1500 Billion black money in Swiss banks, followed by Russia $470 Billion, UK $390 Billion, Ukraine $100 Billion and China with $96 Billion. An amount which is 13 times larger than the nations foreign debt. Every year this amount is increasing at a rapid speed but our government seems to be silent over this matter from a very long time. The total black money accounts for 40% of our GDP, if all the money comes back to India then that could result in huge growth burst for our nation. A nation where more than 450 million live below the poverty line, which means they make less than $1.25/day and could probably use an easy cash advances from somebody. Independent India is not new to these scams, its root can be found in 1948 when ‘Nehruji’ and Congress started ‘Governing’ this country. Since then our politicians never left this country Scam free. 2010 can be declared as the Year of Scams. Total Scam Money (approx) since 1992 (Including high profile scams like 2G, CWG, Aadarsh, UP Food Scam of 2010): jaw dropping 83 Lakh Crore. A list of few major scams that came to light. There must be dozens of such that never leaked. The history of corruption in post-Independence India starts with the Jeep scandal in 1948. VK Krishna Menon, the then High Commissioner for India in London signed a deal with a foreign firm worth Rs 80 lakh for jeeps for the Indian Army in Kashmir without observing normal procedure. The then Government announced on September 30, 1955 that the Jeep scandal case was closed, despite the demand of the opposition for judicial inquiry as suggested by the Inquiry Committee led by Ananthsayanam Ayyangar. Union Minister GB Pant said "that as far as Government was concerned it has made up its mind to close the matter. If the opposition is not satisfied they can make it an election issue." 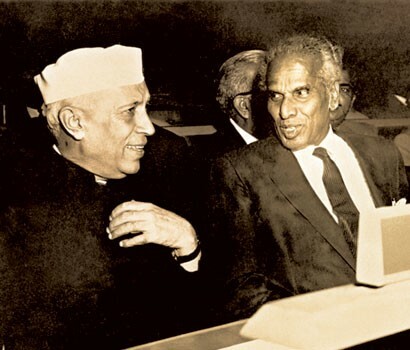 Soon after, on February 3, 1956 VK Krishna Menon was inducted into the Nehru cabinet as minister without portfolio. In one of the first instances of corruption in educational institutions, Benaras Hindu University officials were accused of misappropriation of funds worth Rs 50 lakh. It was the media that first hinted there might be a scam involving the sale of shares to LIC. Feroz Gandhi sourced the confidential correspondence between the then Finance Minister T.T. Krishnamachari and his principal finance secretary, and raised a question in Parliament on the sale of 'fraudulent' shares to LIC by a Calcutta-based Marwari businessman named Haridas Mundhra. The then Prime Minister, Jawaharlal Nehru, set up a one-man commission headed by Justice MC Chagla to investigate the matter when it became evident that there was a prima facie case. Chagla concluded that Mundhra had sold fictitious shares to LIC, thereby defrauding the insurance behemoth to the tune of Rs. 1.25 crore. Mundhra was sentenced to 22 years in prison. The scam also forced the resignation of T.T.Krishnamachari. Teja loan scam took place in 1960. Jayanth Dhramateja took Rs. 22 crores as loan to establish Jayanthi Shipping company but without establishing the company, he ran with the money. Pratap Singh Kairon became the first Indian chief minister to be accused of abusing his power for his own benefit and that of his sons and relatives. He quit a year later. Orissa Chief Minister Biju Patnaik was forced to resign after it was discovered that he had favoured his privately-held company Kalinga Tubes in awarding a government contract. Well before the company was set up, former Prime Minister Indira Gandhi’s name came up in the first Maruti scandal, where her son Sanjay Gandhi was favoured with a license to make passenger cars. The Indian Oil Corporation signed an Rs 2.2-crore oil contract with a non-existent firm in Hong Kong and a kickback was given. The petroleum and chemicals minister was directed to make the purchase. With the exposure of this scandal concerning A.R. Antulay, then the chief minister of Maharashtra , The Indian Express was reborn. Antulay had garnered Rs 30 crore from businesses dependent on state resources like cement and kept the money in a private trust. HDW, the German submarine maker, was blacklisted after allegations that commissions worth Rs 20 crore had been paid. In 2005, the case was finally closed, in HDW’s favour. A Swedish firm was accused of paying Rs 64 crore to Indian bigwigs, including Rajiv Gandhi, then the prime minister, to secure the purchase of the Bofors gun. Ottavio Quattrocchi was accused as the middleman in the scandal because of his intimacy with Rajiv and his Italian-born wife Sonia Gandhi. Magazine cover from India Today. The Bofor scandal was a major corruption scandal in India in the 1980s; then the Prime Minister Rajiv Gandhi and several others were accused of receiving kickbacks from Bofors AB for winning a bid to supply India's 155 mm field howitzer. 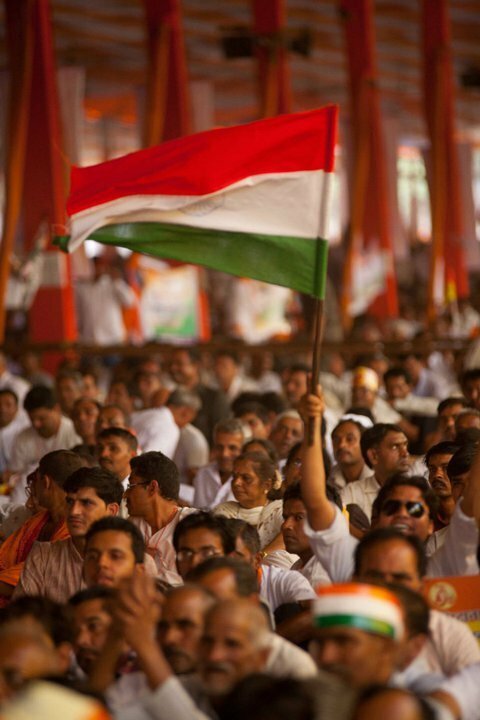 The scale of the corruption was far worse than any that India had seen before, and directly led to the defeat of Gandhi's ruling Indian National Congress party in the November 1989 general elections. It has been speculated that the scale of the scandal was to the tune of Rs. 400 million. The case came to light during Vishwanath Pratap Singh's tenure as defense minister, and was revealed through investigative journalism by Chitra Subramaniam and N. Ram of the newspapers the Indian Express and The Hindu. However, as there was no extradition treaty between India and Argentina, the case was presented in the Argentine Supreme Court. The government of India lost the extradition case as the government of India did not provide a key court order which was the basis of Quattrochi's arrest. In the aftermath, the government did not appeal this decision owing delays in securing an official English translation of the court's decision. The Italian businessman no longer figures in the CBI's list of wanted persons and the 12-year Interpol red corner notice against the lone surviving suspect in the Bofors payoff cash as been withdrawn from the agency’s website after the CBI’s appeal. A Delhi court discharged Quattrocchi from the case, as there was no credible evidence against him, on 4 March 2011. An attempt was made to sully V.P. Singh’s Mr Clean image by forging documents to allege that he was a beneficiary of his son Ajeya Singh’s account in the First Trust Corp. at St Kitts, with a deposit of Rs 9.45 Crores. Indian Airlines’s (IA) signing of the Rs 2,000-crore deal with Airbus instead of Boeing caused a furore following the crash of an A-320. New planes were grounded, causing IA a weekly loss of Rs 2.5 crore. Harshad Mehta manipulated banks to siphon off money and invested the funds in the stock market, leading to a crash. The loss: Rs 5,000 crore. Aided by M. Gopalakrishnan, then the chairman of the Indian Bank, borrowers-mostly small corporates and exporters from the south-were lent a total of over Rs 1,300 crore, which they never paid back. As food minister, Kalpnath Rai presided over the import of sugar at a price higher than that of the market, causing a loss of Rs 650 crore to the exchequer. He resigned following the allegations. Exchange Board of India (SEBI) and SBI Caps, which lead-managed the issue, to dupe the public into investing in his Rs. 699-crore public-***-rights issue. Sachdeva was later acquitted. Jharkhand Mukti Morcha leader Shailendra Mahato testified that he and three party members received bribes of Rs 30 lakh to bail out the P.V. Narasimha Rao government in the 1993 no-confidence motion. The Enforcement Directorate in Bombay recently busted a 560 billion Yugoslav dinar racket and arrested five persons involved. Information given by some Vysya and UCO Bank officials revealed that 560 billion dinars—worth Rs 400 crore—had come in through the hawala channel and efforts were being made to transfer the amount to a bank account in the Bahamas. The amount was acquired by Yogesh Mehta and Dinesh Singh by way of compensatory payments against the import of electronic goods. IT was Food Minister S.K. Katare who—much to the great embarrassment of Chief Minister Digvijay Singh—took the lid off what is being referred to as the rice scam. According to officials in Bhopal, the fraud was detected at the food controller's office in Raipur, which is considered to be the state's rice bowl. The SNC Lavalin scandal is financial scam in Kerala, India related to the contracting of the government with a Canadian company, SNC-Lavalin which resulted in an alleged net loss to the exchequer of 374.50 crore. Several politicians were involved and eventually charged, including former minister Pinarayi Vijayan. Pickle baron Lakhubhai Pathak raised a stink when he accused former Prime Minister P.V. Narasimha Rao and godman Chandraswami of accepting a bribe of Rs 10 lakh from him for securing a paper pulp contract. Former minister of state for communication Sukh Ram was accused of causing a loss of Rs 1.6 crore to the exchequer by favouring a Hyderabad- based private firm in the purchase of telecom equipment. He, along with two others, was convicted in 2002. 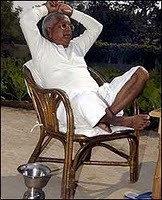 The accountant general’s concerns about the withdrawal of excess funds by Bihar’s animal husbandry department unveiled a Rs 950-crore scam involving Lalu Prasad Yadav, then the state chief minister. He resigned a year later. C.S. Ramakrishnan, MD, National Fertiliser, and a group of businessmen close to the P.V. Narasimha Rao regime fleeced the government and took Rs 133 crore from the import of two lakh tonne of urea, which was never delivered. Inadvertently discovered that some interest warrants issued by Bhansali were not backed by cash. The bubble finally burst in May 1997, but by that time investors had lost over Rs. 1,000 crore. This was among the first retail scams in India and it was played out, in smaller avatars, across the country-especially in the South where financial services companies promised returns in excess of 20 per cent and decamped with the principal. Bhansali was arrested for a few weeks and released later on bail. 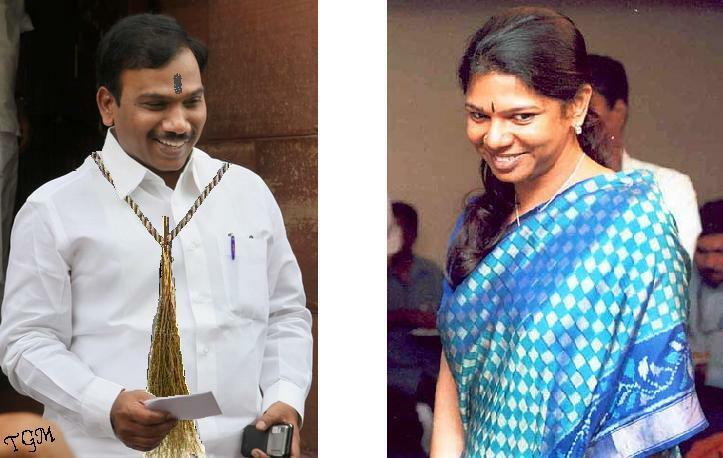 A passing remark heard by then Finance Minister Palaniappan Chidambaram resulted in a furore over what was badly-kept secret on Dalal street . Chidambaram was told that hundreds of companies had disappeared after raising moneys form the public. An informal scrutiny revealed that perhaps over 600 companies were missing. Chidambaram ordered a probe by SEBI. The SEBI probe conducted in May 1998 revealed that while many companies are not traded on the bourses at least 80 companies that had rises Rs.330.78 crore were simply missing. Later that year, the Department of Company Affairs (DCA) was asked to probe and penalize these companies. DCA still investigating. Investigations continue to this day. It was as innovative a swindle as any effected in the world. Savvy entrepreneurs convinced gullible investors that given the right irrigation and fertilizer inputs, teak, strawberries, and anything else that could be grown, would grow anywhere in the country. The promoters could afford to collect money from investors and not worry about retribution (or returns, for that matter). For, plantation companies fell under the purview of neither SEBI nor Reserve Bank of India . Indeed, they didn’t even come under the scope of the Department decided to change things in 1999, enough investors had been gulled: 653 companies, between them, had raised Rs. 2,563 crore from investors. To date, not many investors have got their principals back, just another affirmation of the old saying about money not growing on trees. The CBI said it was the conspiracy of these four people which resulted in the loss of Rs 32 crore (Rs 320 million). Subramanyam, Kapur and Basu had changed their stance on an investment advice of the equities research cell of UTI. The promoter of Cyberspace Infosys, Arvind Johari was arrested in connection with the case. The officals were paid Rs 50 lakh (Rs 5 million) by Cyberspace to promote its shares. He also received Rs 1.18 crore (Rs 11.8 million) from the company through a circuitous route for possible rigging the Cyberspace counter. The mayhem that wiped off over Rs 1,15,000 crore in the markets in March 2001 was masterminded by the Pentafour bull Ketan Parekh. He was arrested in December 2002 and banned from acccessing the capital market for 14 years. Under the pretext of gilt trading, Rs 600 crore was swindled from over 25 cooperative banks in Maharashtra and Gujarat by a Navi Mumbai-based brokerage firm Home Trade. Sanjay Agarwal, CEO of the firm, was arrested in May 2002. The sheer magnitude of the racket was shocking-it caused a loss of Rs 30,000 crore to the exchequer. Disclosures of the mastermind behind it, Abdul Karim Telgi, implicated top police officers and bureaucrats. K. Natwar Singh was unceremoniously dropped from the Cabinet when his name surfaced in the Volcker Report on the Iraq oil-for-food scam. When the Securities Exchange Board of India (Sebi) started scanning an entire spectrum of IPOs launched over 2003, 2004 and 2005, it ended digging up more dirt and probably prevented a larger conspiracy to hijack the market. It involved manipulation of the primary market—read initial public offers (IPOs)—by financiers and market players by using fictitious or benaami demat accounts. While investigating the Yes Bank scam, Sebi found that certain entities had illegally obtained IPO shares reserved for retail applicants through thousands of benaami demat accounts. They then transferred the shares to financiers, who sold on the first day of listing, making windfall gains from the price difference between the IPO price and the listing price. The IPO scam came to light in 2005 when the private 'Yes Bank' launched its initial public offering. Roopalben Panchal, a resident of Ahmedabad, had allegedly opened several fake demat accounts and subsequently raised finances on the shares allotted to her through Bharat Overseas Bank branches. The Sebi started a broad investigation into IPO allotments after it detected irregularities in the buying of shares of YES Bank’s IPO in 2005. On October 10 last year, an Income Tax raid on businessman Purushottam Budhwani accidentally found he was controlling over 5,000 demat accounts. Sebi finds this suspicious. On December 15, Sebi declared results of its probe, how a few people cornered a large chunk of YES Bank IPO shares. On January 11 this year, Sebi discovered huge rigging in the IDFC IPO. Roopalben Panchal was found to be controlling nearly 15,000 demat accounts. It was found that once they obtained these shares, the fictitious investors transferred them to financiers. Claims that 3,115.66 quintals of foodgrains worth Rs.25 lakh were transported appeared false and the money has been embezzled using fake truck numbers. The report said that a scooter was shown to have carried 92.49 quintals of foodgrains and three motorcycles were together shown to have carried 274.15 quintals of foodgrains meant for flood relief. Corporation Limited in Khagaria revealed that foodgrains were lifted from Mansi railway station and transported through trucks. The Scorpene submarines scam was one of the biggest corruption scandals faced by the country and including the navy. In the scandal, secret Navy documents were sold to the makers of the Scorpene submarine. The Indian government had approved the Rs 19,000 crore submarine deal with the French company. The purchase of six Scorpene submarines cost the Indian government a lot more than its actual price. arrested on money laundering charges which was to the tune of Rs. 50, 000 crores. The 2G spectrum scam in India involved the issue of 1232 licenses by the ruling Congress-led UPA alliance of the 2G spectrum to 85 companies including many new telecom companies with little or no experience in the telecom sector at a price set in the year 2001. The scam involved allegations regarding the under pricing of the 2G spectrum by the Department of Telecommunications which resulted in a heavy loss to the exchequer, and the illegal manipulation of the spectrum allocation process to favour select companies. The issue came to light after the auction of airwaves for 3G services which amounted to INR67,719 crore (US$15.1 billion) to the exchequer. A report submitted by the Comptroller and Auditor General based on the money collected from 3G licenses estimated that the loss to the exchequer due to under pricing of the 2G spectrum was INR176,379 crore (US$39.33 billion). Kamal Nath was embroiled in corruption when the Commerce Minister of India, Anand Sharma discovered that Kamal Nath, as the then Commerce minister, was involved in the 2500 crore rice export scandal. Anand Sharma has further stated that Kamal Nath should be jailed for his involvement. The 23 persons were accused of misappropriating Rs 1,063 crore from several mines in mineral-rich Keonjhar district. Chief Minister Naveen Patnaik had handed over the probe into the illegal mining activities, which came to light in August 2009, to the vigilance department following a demand by the Opposition Congress and BJP for a CBI probe. According to the charge sheet, seven persons, including Indrani, were allegedly involved in illegal mining activities at Unchabali iron and manganese mines in Keonjhar. The anti-corruption wing also claimed that Rs 1,009 crore had been misappropriated by them by illegally extracting minerals. Indrani, who shares a close relation with a local Congress leader, was incidentally among the top income tax payers last year when she had paid Rs 6 crore as income tax. On 10 October 2009, he was charged with laundering money. The Income Tax Department uncovered over 4000 crore in illegal assets owned by Koda. Among others, these assets were reported to include hotels and three companies in Mumbai, property in Kolkata, a hotel in Thailand, and a coal mine in Liberia. 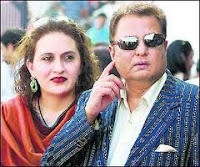 This alleged scam is said to be the second-largest scam uncovered in India in 2009 and gets his name included in the list of controversial Indian businessman like Hasan Ali Khan and Harshad Mehta. In the probes, it was found that Maoists received a 30% share of the "Koda plunder". This has led to staunch criticism of Koda from sections of society, including the oppostition Bharatiya Janata Party. 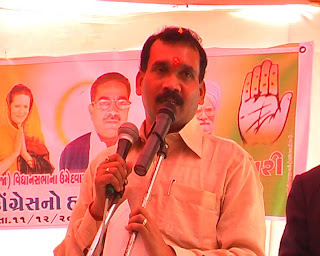 Gujarat Chief Minister Narendra Modi stated Koda was part of a corrupt network of Congress Party who stole money from Jharkhand. Central Jail after being given permission by the Jharkhand Vigilance Court so that he can attend the monsoon session of the Parliament. Allegations being made that a substantial sum of money was transferred to a little known U.K. company from the Games Organising Committee (OC) about which the British government has raised questions. Television channels reported that over £ 4.50 lakh were transferred through a British bank to the A M Films company, said to be a one man show and which was also receiving £ 25,000 a month. 'Times Now' quoted documents to show that the entire deal came to light when the OC asked for a VAT refund of £ 14,000 in March 2010 for the payments made to the British company. The channel quoted a letter of the British Revenue and Customs Department to the Indian High Commission stating that there was no written contract between the CWG and A M Films and that no tendering procedure had been followed and there was no paper work regarding the contract. 1995 -Meghalaya Forest Scam Rs 300 cr. These were the some of the scams that I could find. After calculating all this I’m finding it awkward to count loose change that is in my pocket, which I own and many like me would own too. We people don’t dream of becoming filthy rich, but what we dream of is progress of our nation, better infrastructure, better facilities for the citizens, low crime rates, low poverty rates, better education, in all we dream of a better INDIA. Whole nation is getting united for this cause, this time it’s now about religion it’s about money it’s about my money your money our money that they have robbed from us.